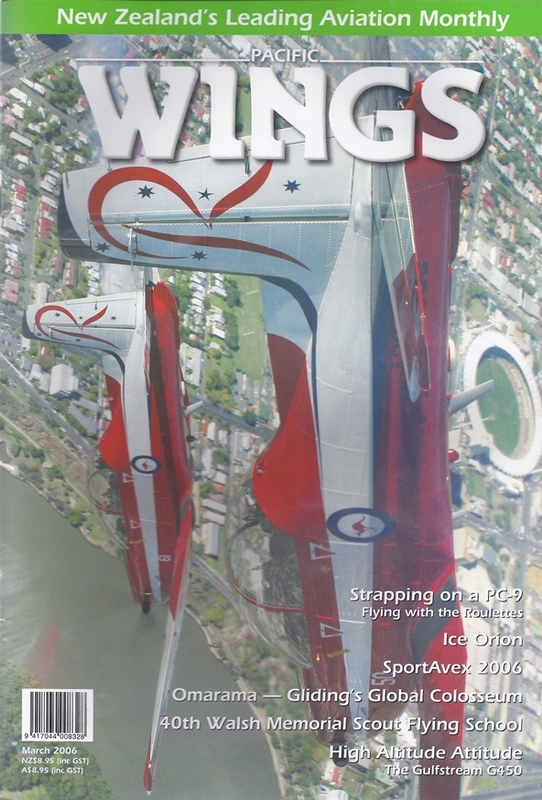 Flying with the RoulettesWings photographer Glenn Alderton flew with the RAAF's crack aerobatuc team recently, and experiences a glimpse of what it takes to be a military display pilot. Antarctica is usually the domain of Hercules, but the great hunter Orion has made his first foray to "The Ice" recently, when the RNZAF landed a P-3K at Pegasus Airfield as part of a trial to see if regular Orion missions south are feasible. Andy Heap reports on a successful sub-zero venture. 158-a during a celebration display following the inaugural NZ Gliding Grand Prix.